Featured in Wednesday’s Nintendo Direct (skip to 19:40), it would appear that Minecraft is geared up to make its way to yet another platform, the Nintendo Switch, on May 11, 2017. 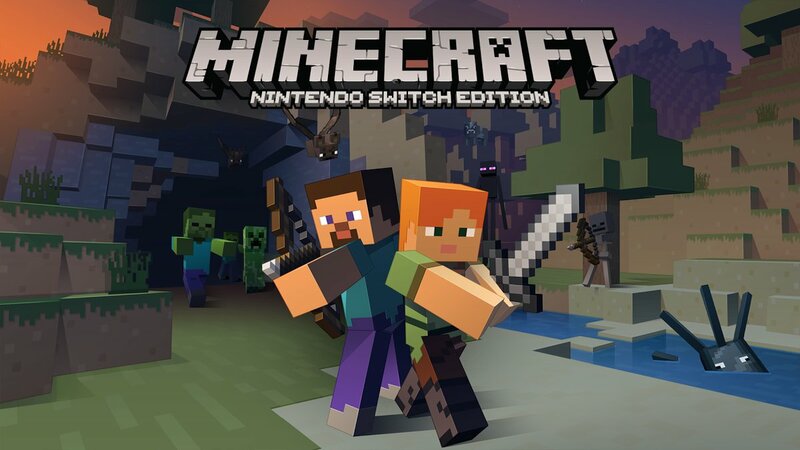 Titled Minecraft: Nintendo Switch Edition (in line with the nomenclature set forth by previous ports/editions), owners of Nintendo’s latest console can expect to see it available for sale in the Nintendo eShop on the appointed date. Confirming the announcement in a tweet, Mojang has since updated their site with a blog post that includes some screenshots of the Super Mario Mash-Up Pack (originally released for the WiiU edition in May 2016), which feature skins for Mario, Peach, Luigi, Bowser, his Koopa children, and more. No word for (or against) whether owners of non-Nintendo Minecraft versions will see Mario (even in a reskinned form) on their platforms, though one can assume that Nintendo will generally keep their flagship IP on its native platforms. That said, there is a chance for off-platform distribution now with Super Mario Run‘s launch on iOS and Android since December 2016 – the first departure that Nintendo has made from their own platforms in quite some time. With Minecraft now launching on the Nintendo Switch, it continues its roll towards platform-ubiquity. It’s been made available on all current-generation platforms (including PS4, Xbox One, PC/Mac/Linux), the previous generation (PS3, Xbox 360, WiiU, etc.,), and a sufficient swath of the mobile platforms (iOS, Android, Windows Phone). Considering Microsoft paid $2.5B for a controlling interest in the developing studio, there’s a great deal of pressure to continue driving sales of all things Minecraft to recoup investments made in the intellectual property. Though Mojang has long since been a stranger to maintaining multiplatform development projects, the implications here are of a curious sort for Nintendo, who has traditionally relied upon content generated by their first-party studios and third-party firms unowned by competitors Microsoft and Sony. In continuing to offer a Mario-themed texture pack for Minecraft, now a Microsoft product, it marks an interesting (yet indirect) partnership not often seen with Nintendo properties. Error Machine Podcast 118 – PRO!